Pure water is neutral, it’s neither alkaline nor acidic – and it’s also not healthy for you because it lacks minerals. Drinking water that lacks minerals may actually cause a mineral deficiency that results in weak bones and heart trouble. 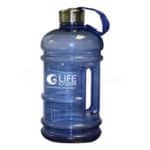 Alkaline water gets much of its health benefits from the minerals that make it alkaline. But the story doesn’t end there, because there is more than one kind of mineral compound that can make water alkaline. The type of mineral compounds that give your water it’s alkalinity make a big difference in how that water will affect your health. Did you know? Any water with a pH of greater than 7 is technically alkaline water. If you have hard water, your tap water is most likely alkaline. So if your tap water’s alkaline, why doesn’t it have all the great alkaline water health benefits you keep hearing about? Because the mineral compounds in tap water: calcium bicarbonate and magnesium bicarbonate can be hard to absorb. Think about this: You have to use more detergent in hard water to get your clothes clean. Why? Because calcium bicarbonate and magnesium bicarbonate make water harder to absorb. They make it harder for your clothes to absorb (hence you need more detergent) and they make it harder for your body to absorb. A water ionizer changes all that. Because a water ionizer changes the hard-to-absorb calcium bicarbonate and magnesium bicarbonates into easy to absorb calcium and magnesium hydrates. Two studies conducted at Montana State University show that alkaline water rich in mineral hydrates is absorbed by the body faster than alkaline water with mineral bicarbonates and that it can raise blood and urine pH. So the big difference between the water coming out of your tap and alkaline water from a water ionizer is the form that the minerals in the water are in. 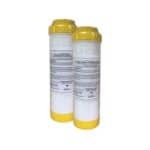 The mineral hydrates in alkaline water are calcium hydroxide and magnesium hydroxide. They are mineral compounds that pair an alkaline mineral with an antioxidant hydroxyl ion. Both calcium hydroxide and magnesium hydroxide are valuable nutrients, they are commonly used to fortify foods like orange juice with healthy minerals. Both calcium hydroxide and magnesium hydroxide are recognized by the FDA for their safety and nutritional value. In fact, calcium hydroxide is so safe that it is the preferred way to fortify infant formula with calcium! What makes calcium hydroxide a preferred source of mineral nutrition is because it’s easy for the body to absorb. It may seem like a miracle that a simple machine can transform ordinary tap water into healthy alkaline water. But in reality, it’s simple chemistry. A water ionizer uses charged plates, called electrodes, and an ion-permeable membrane, to separate the calcium and magnesium in tap water from the bicarbonates that they are mixed with. It works because calcium and magnesium have a positive charge, so they are drawn to the negatively charged electrode in the ionizer. Meanwhile, the bicarbonates have a negative charge, so they are drawn towards the positively charged electrodes in the ionizer. The positively charged electrodes are separated from the negatively charged electrodes by the ion permeable membrane. An ion-permeable membrane allows charged particles – called ions – to pass through it. It blocks uncharged particles like water molecules, they can’t pass through. So the calcium and magnesium end up separated from the bicarbonates. Once they are separated, the alkaline minerals react with water molecules to claim a hydroxyl ion from them. That combination of calcium and magnesium ions, plus hydroxyl ions forms the calcium hydroxide and magnesium hydroxide that makes alkaline water so healthy. There’s another reason that alkaline water from a water ionizer is beneficial to your health: It has antioxidant potential. You’ve probably heard that antioxidants are good for you, doctors have been urging people for years to increase their intake of antioxidants. 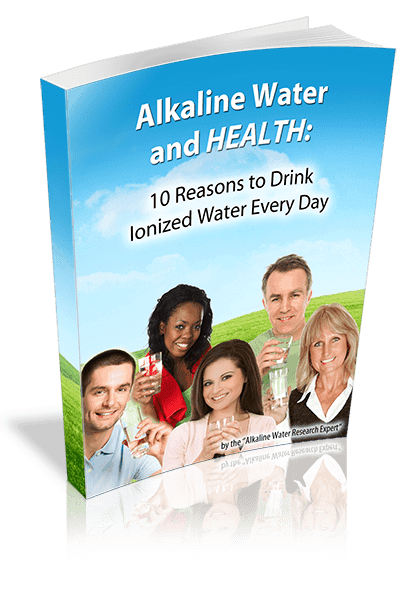 It may be that the most wonderful thing about a water ionizer is that it makes that easy. Increasing your antioxidant intake is as easy as reaching for a glass of water. Life Ionizers guarantees that you’ll get the highest antioxidant potential possible in every glass of pH-balanced alkaline water you drink. What does this mean? Health experts recommend alkaline water with a pH balance of between 8.5 and 9.5 for daily consumption. 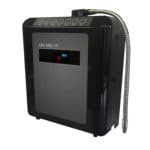 At those pH levels, a Life Ionizer will put more antioxidant potential in your water than any other machine – it’s that simple.